Did you know that there are a seemingly endless numbers of colors of indigo? “Indian indigo dye lump” by Photo by Evan Izer (Palladian) – Own work. The use of natural dyes involves the identification, collection, cultivation and conservation of dye plants, the use of chemistry, including natural mordants/fixatives, fermentation, the art of dyeing, and in many cases, an understanding of local customs and the historical context. Dye plants are often studied along side medicinal plants. In addition to plants, invertebrates and minerals are used sources for dyes. Authentically STEAMy, right??? Have you considered going outside of your own academic institution to find an artistic collaborator? A STEM faculty member may be greeted with quite a lot of interest by an arts institution. Many art museums, for example, display art that involves STEM in its creation or as it subject. Consider the chemistry in painting, math in fashion design, or computer science in augmented reality art. And then there are botanical prints, art derived from mathematical patterns, and landscapes that show changes in land-use over time, just to name a few. However, the museum may not have much contact with scientists, mathematicians, or engineers who could provide a different perspective on the work or connect with the visitors through scientific and mathematical ideas. 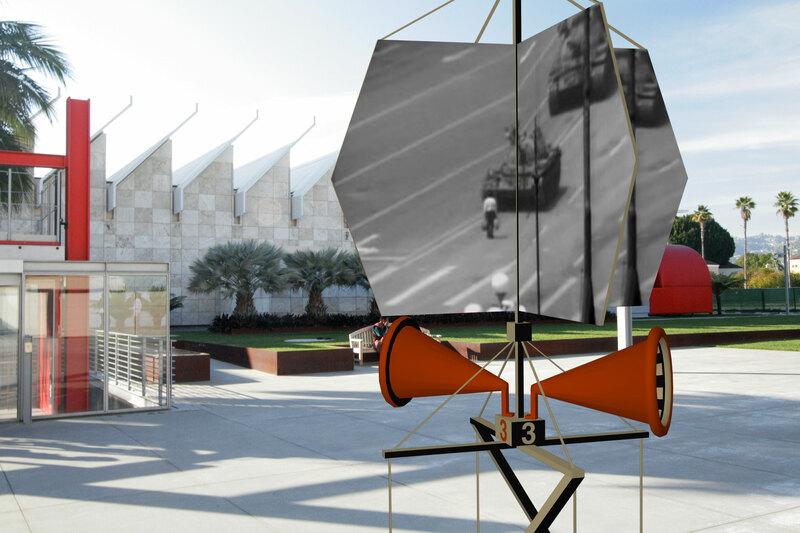 “Orators, Rostrums, and Propaganda Stands: no3,” by John Craig Freeman, augmented reality public art, Los Angeles County Museum of Art, 2012. Education is an important part of the mission of museums, as is collaboration with educational institutions. You may find museum staff members to be intrigued by the idea of collaboration with higher ed instead of K-12 for a change. They may even be interested in leading a workshop for your colleagues to take place at the museum or at your university. An art museum may be interested in participating in the dialog around STEM education that takes place at academic meetings, but may be seen as out of place at a scientific or faculty professional development conference. A collaboration with a STEM faculty member may help others to recognize the legitimacy of a museum’s voice in these settings. And don’t forget that art and art/science museums can be great resources for your STEM classes. At a museum a student can improve his or her ability to observe details, interpret artwork in the context of conservation biology, or learn about the science of making art.